There is no set rule for choosing a course in Australia — ultimately, it will come down to what’s most important to you. Each student has different reasons for studying overseas, with motivations ranging from improving English language skills and career prospects to experiencing life and culture in a new country. If you’re still researching potential courses, here are some things you may like to consider. One of the first things you need to think about when choosing a course is where you would like to study — both the location and institution. 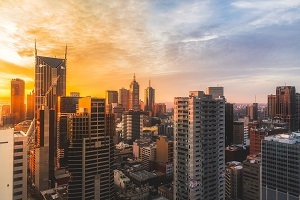 You may be drawn to a certain area, such as metropolitan Sydney or Melbourne, sunny Queensland or coastal New South Wales… or you may already have a preferred institution in mind. If you’ve already decided on a field of study, this can also help narrow down options. Some fields, such as business, can be studied nearly anywhere in Australia, while other courses, such as dentistry and veterinary medicine, are only offered at a select number of universities. Some regions are known for their expertise in certain areas, which may also influence your decision — regional Australia for agriculture, Western Australia for mining or Tasmania for maritime studies, for example. When researching courses of interest, you need to consider outcomes and future prospects. You may be looking for a course that qualifies you for a particular profession, one that is accredited by industry bodies or one that prepares you for further study. If you don’t meet the entry requirements for your preferred course, you may also look at pathway options, such as a VET qualification or foundation studies, which can offer guaranteed entry to higher qualifications — often with credit. Tuition fees and entry requirements in Australia can differ considerably between institutions and courses, so it’s worth having a thorough look at all your options if you’re concerned about either of these factors. You may also look at scholarship opportunities, as well as alternative entry arrangements and pathways at each institution. If you’ve decided what you want to learn, the next step is to think about how you want to learn it. This will partly depend on the sector you choose to study in — VET courses are known for their practical, hands-on approach, while higher education courses tend to incorporate more theory — but even higher education degrees can differ considerably between institutions. Some courses offer plenty of work-integrated learning, while others delve deep into theory and research. You may decide to study a general course and try out a few areas of interest or look for one with a specialised focus from the start. Gaining practical experience during your studies is invaluable when you begin looking for work in your field. Some courses include practical placements as part of the course, while others will leave it up to you to gain this experience. Institutions vary in their ability to help students in this area — some offer a dedicated careers service to help students find a relevant internship, others have strong industry partnerships and some even have industry-standard facilities on campus for students to work in.